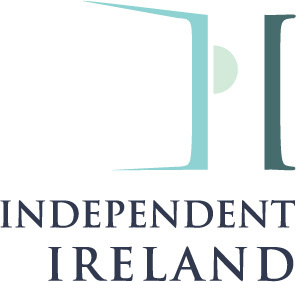 Thank you for your interest in learning a little bit more about us, and how Independent Ireland came to be. With a collective 35 years experience in the travel business, we were first introduced back in 2008 at a Travel Agent conference where the Young Professionals in the business come together every year. Both having grown up in different places, yet here we are, in the same business with a very similar vision. We discussed our concerns about the speed of growth and the effects (both positive and negative) this had on the places we sent people. It was becoming more and more difficult to find places that were not affected by the ill effects of the mass tourism product. When information becomes centralized, when big marketing budgets win out over genuine sources of knowledge, both the visitor and the destination suffer. It was getting tougher to find an authentic experience, one that immersed you in a destination without countless others ahead and behind you doing the exact same thing. But everyone’s motivations to travel are different, everyone’s expectations differ, so we decided to offer a service to a wiser market: from the casual, more free spirited, to the more organized person that likes to maximize their time. There is nothing part time about our choice of occupation, nothing half (arsed) about what we do. We work in the business 7 days a week. Sending hundreds to all corners of the globe. We value you, your vacation, your hard earned money, but mostly, your time. It is much too valuable to leave to internet searches and those that have all the wrong experience. It’s about finding the moments and enjoying the journey in between and rediscovering that childlike sense of curiosity along the way. A 17 year veteran in the business, Evan’s journey started back in his homeland, Ireland. Fresh out of college he worked for the airlines and enjoyed different positions from sales and reservations to management. His passion for the industry and curiosity of the world let him to live in places like Australia and New Zealand to later settle in Portland, ME but that didn’t stop his adventurers spirit: throughout the years he’s visited around 30countries, adding new ones to the list each year still. Traveling with Evan is always unpredictable, fun and meaningful. You are guaranteed to get a local flair of the destination and make some new friends along the way. He does not shy away from exploring the non-touristy sights, and his Irish charm always wins over some curious locals, making each trip unique, personal and memorable. This is what he does with his own trips and this is what he tries to accomplish with his client’s vacations. After extensively traveling the world, Ireland was still so close to his heart that he decided to show his customers the true essence of it. Evan travels back to his homeland several times a year, attending local conferences, events -meeting hotel managers, industry influencers. His knowledge of the destination, his love for the island, and his passion for his work make him one of the best when it comes in crafting the perfect Irish adventure. In the travel business from a young age, Csilla finally settled in Chicago to call home (via Hungary, Romania, North Carolina and Florida). She climbed the ranks quickly and earned her place in the Top 30 under 30 in the Travel business and the award for ASTA’s Young Travel Agent Of The Year in 2016. Her enthusiasm and attention to detail, as well as her drive and passion in the art of crafting memorable and life changing vacations, proves exactly why she has built her business from referrals, returning customers and hard work. After her first visit to Ireland she was hooked! She enjoyed the remoteness of places like Achill Island and Donegal nearly as much as the ever changing weather. Her love affair with the Emerald Isle began. Designed By Evan McElligott // © 2017 , Independent Ireland, all rights reserved.